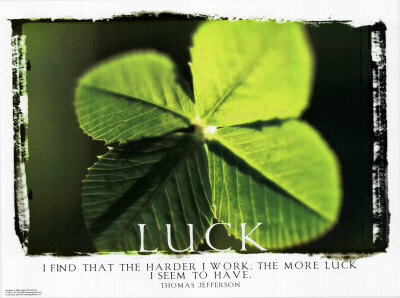 Luck is always quoted as a major success factor in all aspects of life: business, athleticism, romance, talent… the list goes on. To an extent, this definitely is true! For example, if Bill Gates was born as a peasant in a rural town in communist China, I highly doubt that we would be using Windows today. On the other hand, a certain Arnold Schwarzenegger was born in Soviet occupied Austria without access to any type of proper training equipment or scientific fitness coaching. Yet, he still went quite far in the world of bodybuilding! Based on this information, I believe that the key to success is in maximizing the return on your luck. Bill Gates utilized the fact that he was born into an upper-middle class family in Michigan with access to UCLA’s computer terminal. Combine that with an incredible work ethic and the calculated risk that he took by dropping out of Harvard… Well, say hello to 78 billion dollars and counting! The important thing to realize is that he was not the only person born into these circumstances, but that he was the only one who took it as an opportunity to build a greater future for himself. Arnold, on the other hand, minimized his bad luck by immigrating to the United States after winning Mr. Universe and creating better circumstances for himself. Of course, he was only able to accomplish all this through a combination of incredible work ethic, will power, and investment in strong relationships with those around him. My point is this: Both good luck and bad luck happen to everyone. The question is: what will you do with it? Previous post: ACTIVITY OR PRODUCTIVITY?